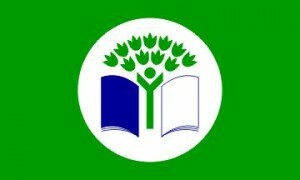 St. Colman’s Students are currently working very hard to achieve their 5th Green Flag. The theme we are exploring is that of “Biodiversity” in our school community and wider environment. Biodiversity is our life support system. It is the variety of all life forms on Earth from the tiniest bugs living in the soils to the butterflies in your garden, the plants they feed on and the biggest whales in the sea. The pupils in St. Colman’s N.S. have been involved in observation and development of flora and fauna in our school environment. We are currently developing a school garden filled with flowers shrubs, herbs and trees that will attract more mini beasts, butterflies, bees, birds and even frogs! We have created a bug hotel and hope to run a competition in the coming weeks to name it. With the huge input from Ms. Mulhall a gardening club has been set up that works very hard at lunch times once a week. Pupils from 2nd to 6th class have been very involved in designing and creating the school garden. Older classes have explored the other environments in our locality such as the lake and river to identify plants, trees and wildlife that co exists there. All classes, pupils and the wider community can become very involved in this theme while also continuing and building on our previous themes such as litter management, energy, water and travel.